Supported by Ministry of New and Renewable Energy, Govt. of India, New Delhi. 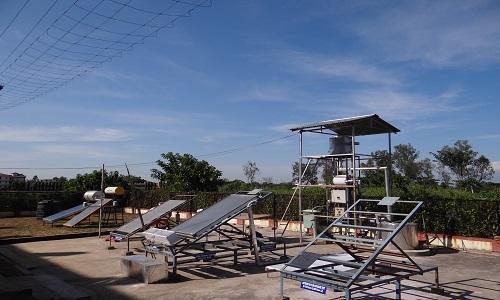 Evacuated tube collector based hot water system as per MNRE draft Standard MED 04(1050)C.
Providing technical back-up to the industries in maintaining quality standards in manufacturing of solar thermal devices by extending testing facility for various components and materials and evaluating processes used in fabrication of solar thermal devices. 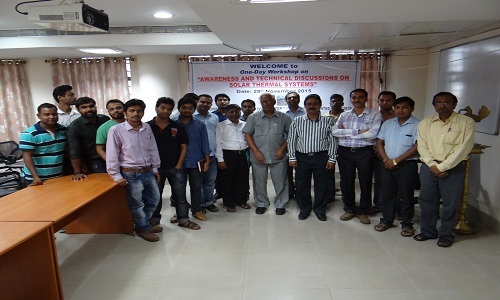 "Skill Development Program on Solar Systems", 29-30 Jan 2015 at NIT Silchar, funded by the Institute. Audiences were local nearby village entrepreneurs. Both theoretical and field training was imparted. Speakers were: Prof. N.V. Deshpande, Director, Dr. A. Biswas, Dr. R.G. Nair. 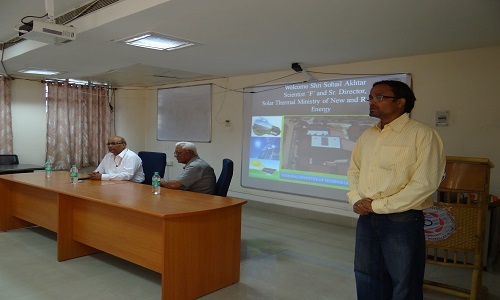 One-day Workshop on "Awareness and Technical Discussion on Solar Thermal Systems" was organized on 29th Nov 2015. Audiences were faculty, students, staffs, fabricators, and Entrepreneurs. 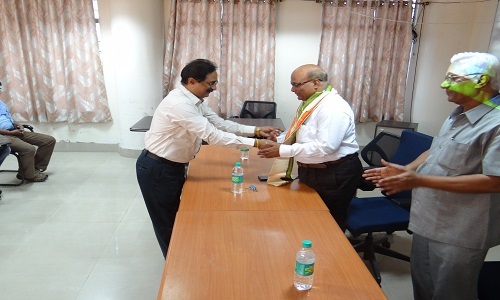 Speakers were: Prof. N.V. Deshpande, Director, Prof. M.G. Takwale, emeritus Prof. of Pune University, Dr. A. Biswas, Mr. J. Saikia, Neutech Solar Systems, Bengaluru, Mr. D. Adhikari, HUGE energy solutions, Guwahati. 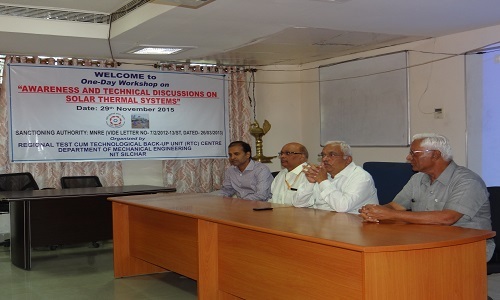 One-day Workshop on "Manufacturing Solar Water Heating System and Solar Photovoltaic System" was organized on 5th May 2016. 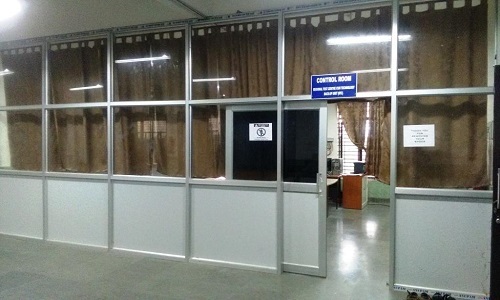 Audiences were faculty, pass-out engineering and post graduate students, staffs, fabricators, and Entrepreneurs. Speakers were: Dr. A. Biswas, Mr. J. Saikia, Neutech Solar Systems, Bengaluru, Mr. D. Adhikari, HUGE Energy Solutions, Guwahati, Mr. Venkatesh G. Hegde, Neutech Solar Systems, Bengaluru. 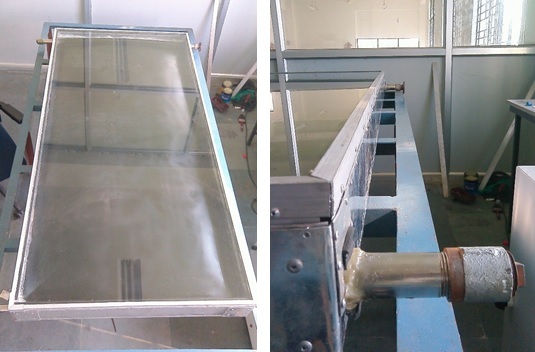 Single continuous rectangular absorber duct of size 1.96m x 0.96m x 0.01 m replacing copper riser tubes having a direct heat transfer between top absorber sheet and the fluid. 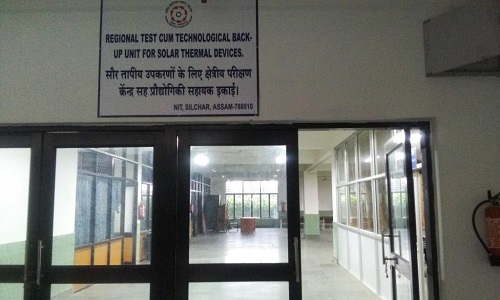 RTC at NIT Silchar also provides technical back-up to the industries in maintaining quality standards in manufacturing of solar thermal devices by extending testing facility for various components and materials and evaluating processes used in fabrication of solar thermal devices. Consultancy: Design, development, commissioning and monitoring the performance of renewable devices and systems, organizing seminars, workshops, and business meets, etc. 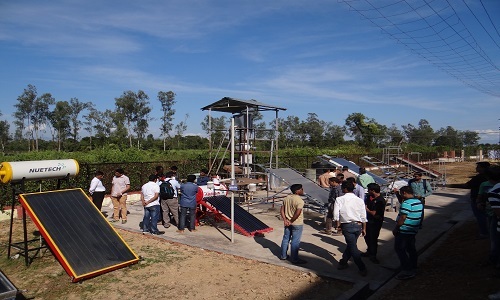 Testing: Performance testing of renewable devices and systems for the purpose of certification and product improvement. Training: For users, technicians, students, teachers and researchers, fabricators, financiers and policy makers.